Editors get very passionate about books they work on – the Editor’s Desk series is his or her place to write in-depth about what makes a certain title special. Get the real inside-scoop on how books are shaped by the people who know them best. Naturally, this was my first question for Reid Mitenbuler, author of Bourbon Empire. 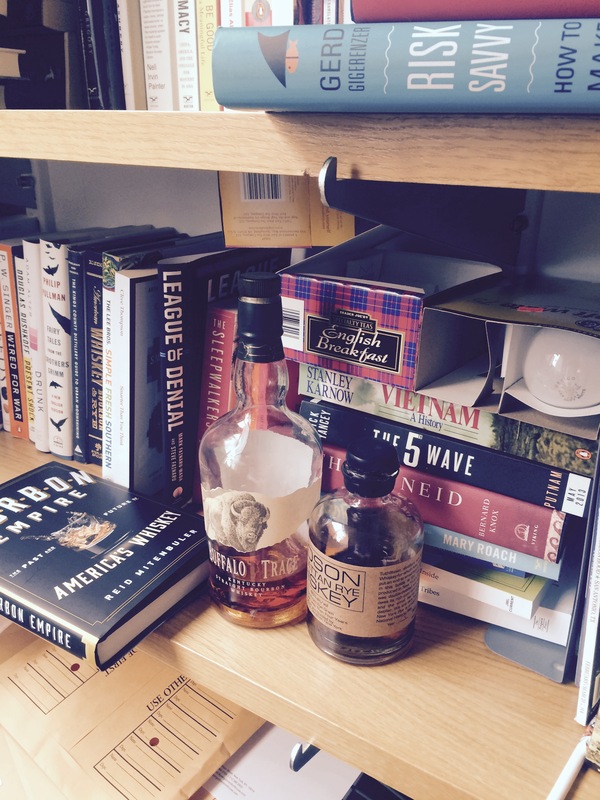 There are some perks to be an editor, and working with an expert on American booze writing a book on the history of bourbon means personalized recommendations. His answer: Buffalo Trace. A lot was riding on his answer: whether or not I, as an equal opportunity drinker of spirits, would buy him and his book depended on my liking his selection. His reasoning certainly sold me: here was an inexpensive bottle ($30) that wasn’t too sweet, or too woodsy. It would go down smooth, he assured me. And the package was cool but wouldn’t win me any hipster points. Spoiler alert: I loved it. And so began a partnership that was about as much what to drink as how to structure the narrative. In many ways the book itself depended on Reid’s unique take on what makes a bourbon good, and how to cut through the marketing hype and tales long made up about a lone man (it’s always a man) toiling on a single still, with a single barrel, to bring you an exemplary bottle of whiskey. Every chapter we worked on became a lesson in reality versus myth. There’s a reason we don’t know the name Lewis Rosensthiel but we know Jack Daniels, or Evan Williams. Rosenthiel is the man responsible for the legislation that cemented bourbon as an American-made whiskey. He was also Jewish, and as savvy a businessman as you’re likely to encounter in the annals of American lobbying. He had a surplus stock of whiskey to sell—a surplus that would, quite literally, evaporate into thin air—and how better to get bottles moving than to limit your competition from overseas. Only Americans could make and sell bourbon, and this definition has stuck. Of course getting to the heart of Reid’s nuanced portrait of American booze—a ride that includes stops at the National Museum of Health and Medicine, to peer at the whiskey-soaked bones of dead Civil War soldiers; at the Kentucky Derby, to sample the world’s finest mint julep; and at the Jim Beam laboratory for the future bourbon flavors—required careful research on my part, too. By which I mean: more bourbon tasting. Memorial Day weekend, 2014, in the thick of pouring over pages of Reid’s first draft, I did my patriotic duty as Method editor and went to the liquor store. There’s a wonderful chapter on the creative genius behind Maker’s Mark—and I sipped on Maker’s Mark. Reid’s brilliant final chapters look at the boom of craft distilleries, and I tried my first rye whiskey, from Tuthilltown Spirits, based in upstate New York. As a reader I love the context for my drink choices. And Bourbon Empire delivers on this and so many others levels. You’ll never look at a liquor store shelf—or bar menu—the same again. 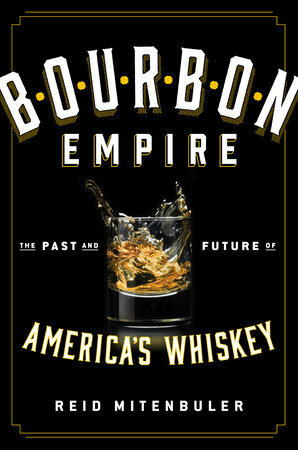 Read more about Bourbon Empire here.